Planning a trip to Japan? 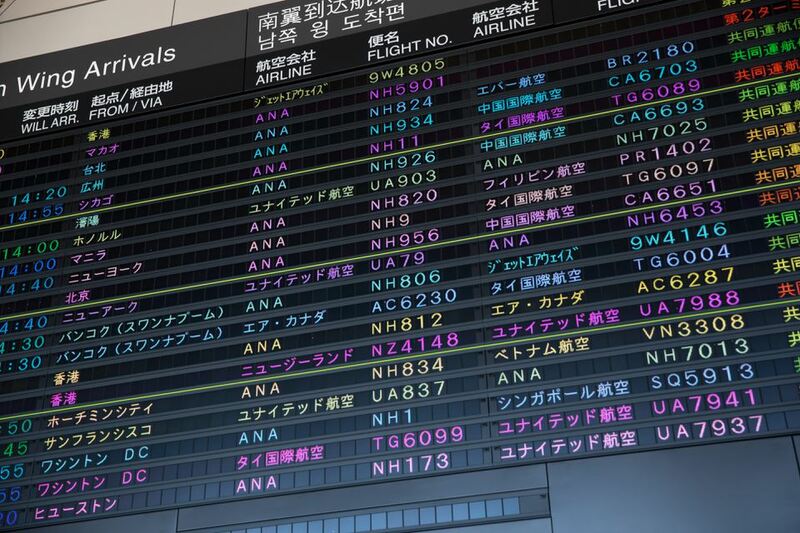 Whether you'll be visiting for business or pleasure, you'll most likely fly into one of these major Japanese airports. Nagoya Airfield (also known as Komaki Airport) is a domestic-only airport located in Nagoya. As of April 2017, Fuji Dream Airlines is the only passenger airline operating at this airport. It’s about 20 minutes by car to central Nagoya. Central Japan International Airport, Centrair, located on an island, is about 30 minutes to Nagoya by train. Other modes of transportation from the island include high-speed boats, shuttles, taxis, and buses. Kyoto and Mount Fuji are several hours away by car. This airport serves the greater Tokyo area and is the main hub for several airlines. Tokyo is about 30 minutes away via the Skyliner, and there are direct express buses to Mount Fuji, Kyoto, Niigata, Toyama, and Nikko. Bus service to downtown Hiroshima is about 50 minutes. Buses also go to the Shiraichi, Fukuyama, Kure and Mihara stations. You can buy a tourist pass here that offers unlimited use on streetcars, buses, express buses and ferries. This airport is about three miles from Chitose and Tomakomai and serves the Sapporo metropolitan area. It’s one of the busiest airports in Japan and one of Asia’s closest airports to North America. Located in the city of Komatsu, this airport also serves the capital city of Kanazawa, both in the Japanese prefecture of Ishikawa. During World War II, it served as a base for the Imperial Japanese Navy. By bus, Komatsu Station is 15 minutes, Kanazawa Station is 40 minutes and Fukui Station is 60 minutes. This airport is in the Fukuoka prefecture on a man-made island two miles from Kitakyushu. It’s serviced by trains, buses, cars, and taxis. Located in the Hyogo prefecture, this airport is also on an artificial island and handles mostly domestic flights. It's about 16 minutes (5 miles) by rail to Sannomiya station in Kobe. If you need to go to Kansai Airport, a high-speed ferry will get you there in 30 minutes. This airport located in Nankoku handles small to medium size planes. It was built in 1944 for use by the Imperial Japanese Navy during World War II. Check out the third-floor observation deck. Transportation from the airport is by bus, taxi or car. Like some other airports in Japan, this area was once home to an air base used by the Imperial Japanese Army. Airport limousine buses can get you to Kumamoto in about 40 minutes. Located in Natori, this airport's main terminal was designed by famous Japanese American architect Gyo Obata. It features a rooftop observation deck. It takes about 20 minutes to get to downtown Sendai. This island-based airport is located in Omura and is about 11 miles to Nagasaki. Transport services include buses, rental cars, taxis, and ferries, but no train. Haneda and Narita airports are the two main airports in the Tokyo metropolitan area. It's about nine miles from Haneda to Tokyo, making it closer than Narita Airport. It serves more than 75 million passengers a year. If you're transferring to Narita Airport, it takes 90 minutes to two hours by bus or train. This airport serves the greater Osaka area and is about 31 miles to downtown Osaka. It's served by dozens of carriers, including Delta, Hawaiian and United airlines. Transportation options are a high-speed ferry, taxi, and train. Tokyo City Air Terminal (T-CAT) is a limousine bus terminal in downtown Tokyo that connects air passengers to the Haneda and Narita airports. Haneda is 25 minutes from T-CAT, and Narita is 55 minutes. Osaka City Air Terminal (OCAT), located in Minatomachi, is western Japan's biggest bus terminal. This transport hub serves Kansai (60 minutes) and Osaka (35 minutes) international airports.